Diwali, the festival of lights, is round the corner and its time to relish with delicious sweets and savories along with fun & joy. Here comes the moong dal ladoo which is a very popular sweet recipe. 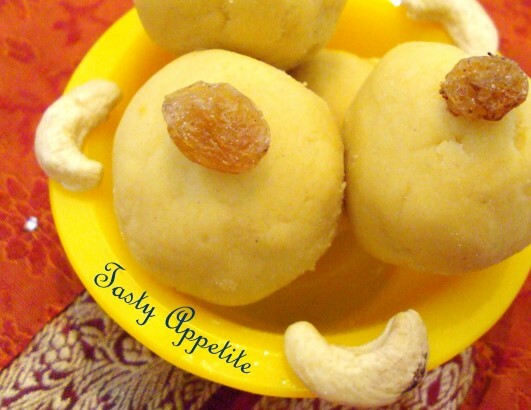 This traditional Indian sweet is made using moongdal flour, ghee and sugar or jaggery. Check out this easy video recipe and let me know how you enjoyed! Add sugar to blender and grind to fine powder. Add moongdal and roast in low flame for 3 to 4 mins. Add moongdal pwd, sugar pwd and stir. Add cardamom pwd and mix. Once the mixture comes to thick texture as shown in video, turn off flame. Transfer the mixture to a plate and spread well and allow to cool. Now grease your hands with oil and take a small portion of dough. If the mixture is not binding properly, sprinkling few drops of warm milk or ghee and roll to ladoos. Garnish the ladoos with chopped pistachios. Homemade healthy flavorful delicious moong dal ladoo is ready to enjoy the festive moments.